Will This Real Estate App End Underquoting? Buying a house can be a stressful process for a lot of house hunters, and it can be even more so when house prices are under-quoted. Some Real Estate agents in the major cites have been known to under-quote property prices by as much as 30% in order to lure in more potential buyers. It’s a practice that’s frustrating and disheartening for buyers on a budget. But this could soon come to an end with the development of a new app called realAs. The software promises to help homebuyers avoid being stung by under-quoting, by closely predicting the actual price that a property will likely sell for. It was developed By David Morrell, formerly one of Australia’s most successful Real Estate Agents, when he wasn’t happy with the dealings between agents and buyers. Too often he saw agents manipulating the sales process, which left buyers feeling hopeless, not to mention wasting their time and money. David Morrell developed realAs over three years of heavy testing and researching. It uses a patented algorithm developed by machine-learning and data-mining academics at RMIT University, and claims to predict property values with a 5% rate of accuracy. The algorithm uses data based on previous sales, agents’ indicative ranges, and uses it’s own predictions. Buyers using the app can simply type in the address of a property that’s currently for sale, and the app will show the agents asking price as well as it’s own prediction of what the final sale price will be. RealAs is completely independent, and not associated with any real estate agent, website or company which could present a conflict of interest. It’s wholly for buyers. You need to register to use the app but it is completely free to use. You can track and watch houses that you’re interested in to see what the final sale price actually is. At this stage, the app only covers properties on the East coast of Australia. However, with more use and an increase in popularity, the app will grow and cover the nation. The start-up website still has a long way to go. It currently gets around 10,000 visitors a month (figure at January 2015), compared to realestate.com.au that gets around 40 million visitors. 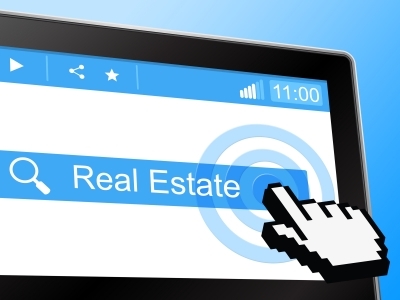 What will the app mean for Real Estate Agents? The feedback so far around this new software program seems to be nothing but positive. “RealAs has the potential to disrupt not only the resident property market, but the commercial property market too. This is exactly the kind of leading-edge, future-ready idea we were looking for. It has the potential to completely change the way our commercial real estate customers do business.” Source SMH. The app has since won Westpac’s inaugural Innovation Challenge, and has been awarded a 6 month mentorship program from Blue Chilli Incubator, and $40,000 from Westpac. If realAs continues to grow as it has, it will soon be able to make predictions on every property sale. This can only mean more accurate sale listing prices, a drop in underquoting and happier buyers.